The NBA Players Awards: Do You Agree With the Winners? Unlike like the traditional season-ending awards, the National Basketball Players Association’s (NBPA) version, which was broadcast on BET, is by the players, for the players. Chris Paul, who was named the recipient of the Oscar Robertson Visionary Award for the work he’s done both on and off the court, stressed the importance of players finally being able to voice their opinions. With categories such as “Clutch Performer” and “Player you secretly wish was on your team,” it’s clear the NBPA has every of intention of distinguishing these awards from the ones held by the league. In fact, even Ray Allen — who didn’t play in the NBA this season — found himself part of the festivities, after being named the “Man of the Year.” Of course, these are just a few examples of how the players chose to acknowledge the performances of their peers during the 2014-15 season. Therefore, given that this was the union’s inaugural attempt at an awards ceremony, we though it was only right to provide a summary of the evening’s highlights. With that in mind, here’s your Cheat Sheet to the Players’ Awards. It’s nice to see DeAndre Jordan get acknowledged for something other than turning the free agency period on its head. 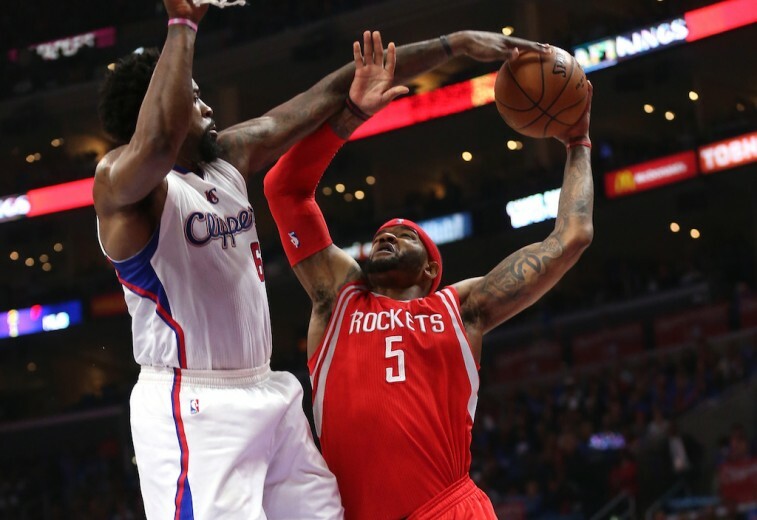 Although he lost out to Kawhi Leonard for the traditional Defensive Player of the Year award, the 2014-15 season was still a big one for the Los Angeles Clippers center. Jordan led the NBA with 15.0 rebounds per game, protected the paint like his was his job (which it was), earned Third-Team All-NBA honors, and was named to the All-Defensive First Team. No longer is it just coach Doc Rivers championing on his behalf. With the players calling the shots, the 27-year-old earned the Players’ Award for “Best Defender” and was finally given the due he so richly deserved. How could not want to play for Pop? Granted he’s not the easiest person in the world to get a soundbite from, but when it comes to NBA coaches, there are very few on his level. In his 19 seasons on the San Antonio Spurs bench, Popovich has built one of the most consistently competitive franchises in professional sports. He’s won 1,022 games, five NBA championships, and been named Coach of the Year three times. 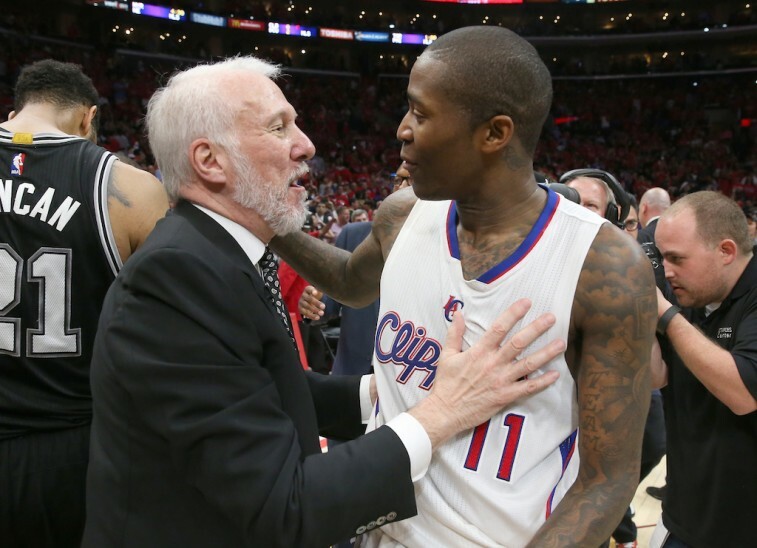 When you join a Popovich team, you know he’s going to bring out the best in you and know you’re always going to be vying for a title. That’s why he’s so respected around the league and that’s why the majority of NBA players clearly want to play for the legendary coach. During his playing days, Allen Iverson was listed at 6-foot-0, 165 pounds — a generous measurement, considering there was no way he was even close to that size. And yet, despite any limitations A.I. might’ve had, a debate can be made that he is the greatest pound-for-pound player in NBA history. 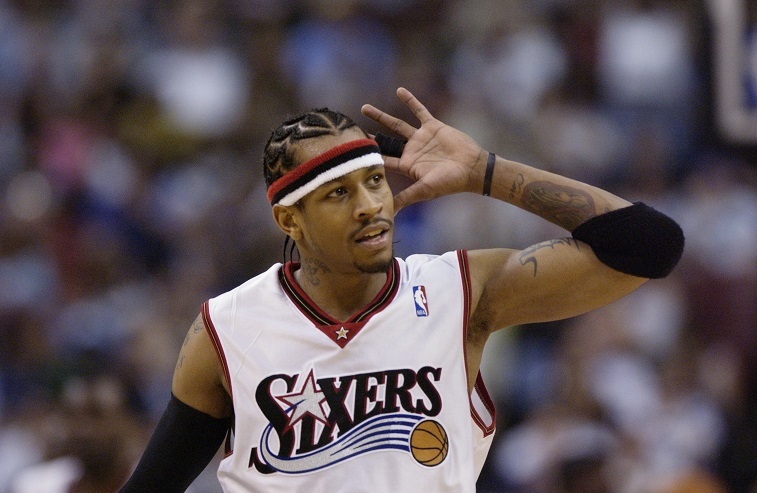 The Answer played each game — not practice — with grit, tenacity, and unrivaled heart. Night in and night out, he took one beating after the other, and kept going. He lived for the bright lights and biggest games and owned the opposition with his deadly crossover. He paved the way for the little guy — something today’s players certainly recognize — and in doing so, was presented with the “Gamechanger” award. By capping off a 67-win regular season with an NBA championship, the Golden State Warriors proved they were the best team from start to finish in 2014-15. 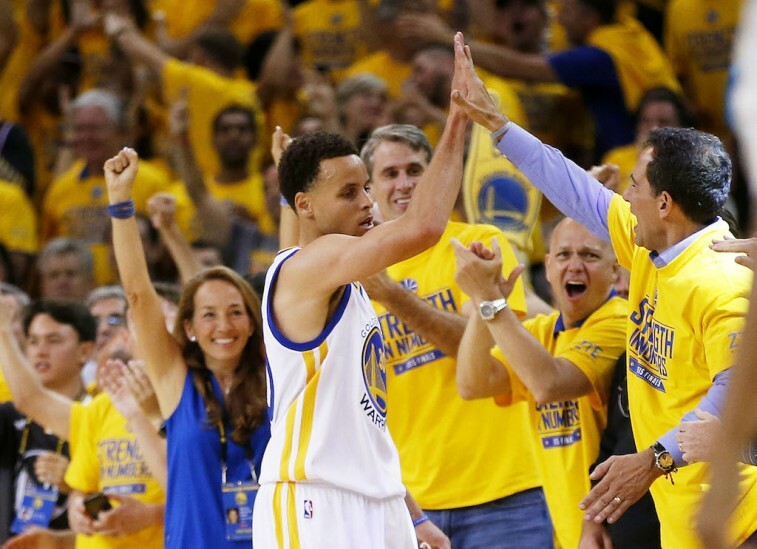 Yet, if there was any environment where this group proved truly dominant, it was on its home floor at Oracle Arena. 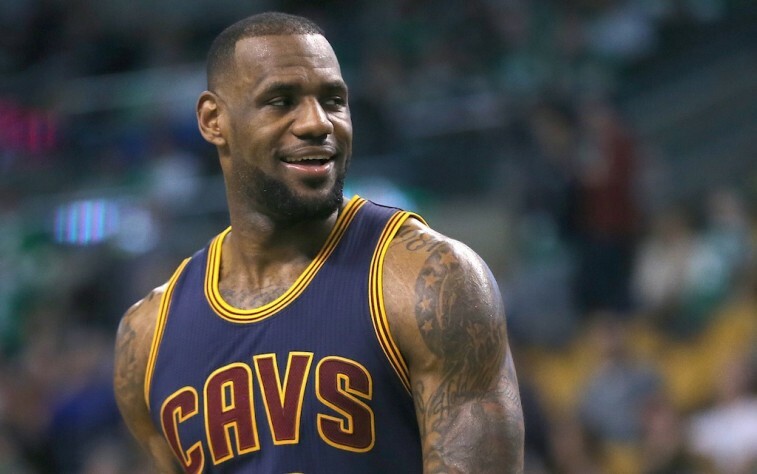 LeBron James doesn’t just turn a bad team good, he turns a bad team great. At least that’s what he did by returning home to the Cleveland Cavaliers this year. Even with two of the game’s top players sidelined with injuries, James somehow willed the young Cavs to within two wins from an NBA championship. ‘Bron doesn’t merely take over a game with his insane physical presence, he uses his remarkably basketball IQ to help make the players around him better. He’s a competitor, a leader, and one of the best players the game has ever seen. To play with James is to consistently put yourself in a position to win. That’s why his peers secretly wish he was on their team. Although, given his crazy abilities, we hardly think its a secret. Even before the Golden State Warriors went on to win the franchise’s first title in 40 years, no matter the situation, you could never count this team out of a game. Not when they had a player like Stephen Curry on the floor. 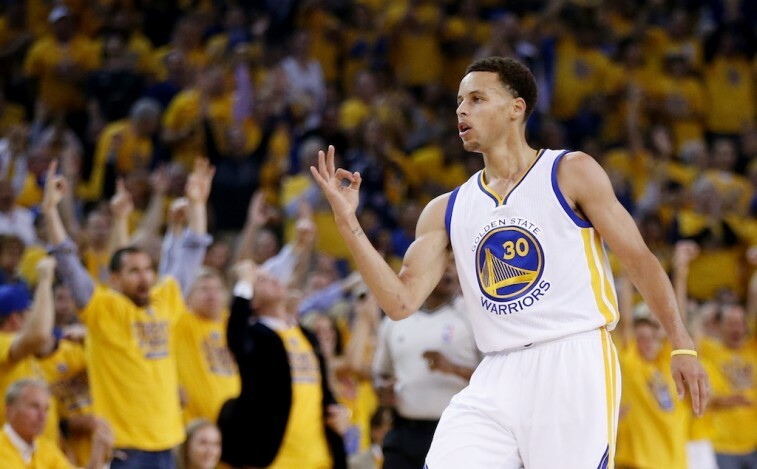 The MVP brings an array of skills to the table that are virtually unparalleled. He can create his own shot like no one else, his range is limitless, and every time he releases the ball, you’re initial inclination is that it’s dropping through the bucket. When the Warriors needed a score, or someone to get the momentum back on their side, there was the Chef cooking up something special. The rest of his NBA peers feel the same way, which is why they not only named him “Clutch Performer,” but also recognized him as the “Hardest to Guard.” There is simply no stopping the Baby-Faced Assassin. The players have spoken. They choose The Beard. In the 2014-15 season, James Harden averaged 27.4 points, 5.7 rebounds, and 7.0 assists per contest. He played in his third straight All-Star Game, was named First-Team All-NBA for the second consecutive year, and helped lead the Houston Rockets to the Western Conference finals. He was easily one of the more dynamic players in the NBA and among the most prolific scorers in the game. Unfortunately, despite his heady play this season, Harden fell just short of the league’s highest individual honor. 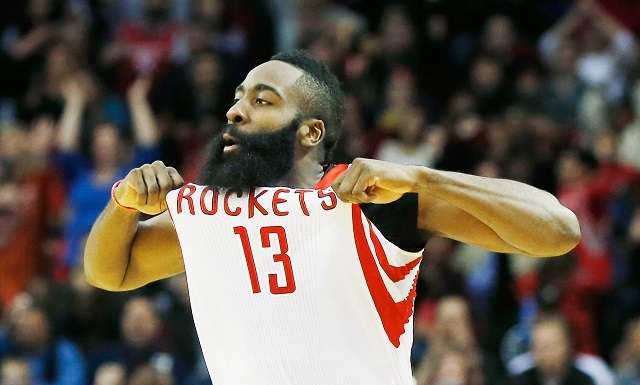 James Harden came in second place in this year’s MVP race, nabbing just 25 first-place votes. 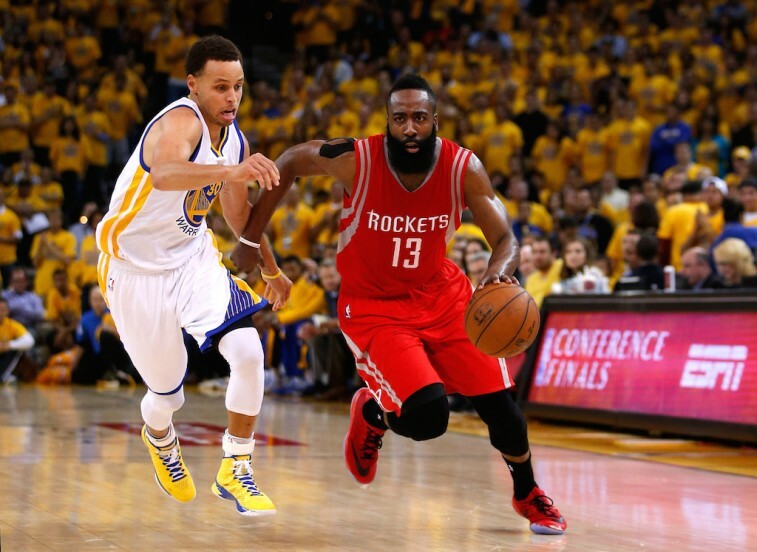 However, in the eyes of his fellow NBA players, Harden was determined to be the Most Valuable Player in the league. Considering this award was bestowed upon him by the people he plays against on a nightly basis, one has to believe this is far from a consolation prize. After a phenomenal year, this is a well-deserved award for the lethal lefty.